As reported earlier, from Microsoft's E3 press conference in LA, the Redmond-based company is clearly keen to position the Xbox 360 as a casual, family-friendly entertainment centre. "As Xbox 360 readies for the next wave of audience expansion, Microsoft Corp. today announced a new Xbox experience that will reinvent home entertainment from the inside out, changing the way we play games, watch movies and TV shows, and even become contestants in game shows. It all begins this autumn with a bold new look and feel that is fun, social and simple to use." Xbox's new 'look and feel' is clearly designed to appeal to the casual user and the uninitiated (read: the Nintendo Wii's core consumer!) and was made "amid the unveiling of an exclusive partnership with Netflix Inc. that will give Xbox 360 users in the United States instant access to more than 10,000 feature films and television shows with a click of a button." In what is described, tellingly, as "its strongest broadening play yet" Microsoft bills Xbox LIVE Primetime as "the next evolution in game shows slated for Xbox LIVE this Autumn" with the partnership with reality TV giant Endemol leading the way with its "1 vs. 100" game show concept. The company is also very keen to plug the fact that the Xbox 360 now offers "TV shows and movies from world leaders in entertainment including NBC Universal, Universal Studios Home Entertainment, SCI FI Channel and USA Network in the United States and Constantin and MGM internationally." The company seems to be offering an impressive range of so-called 'casual' games such as Lips, Rock Band 2, Scene It? Box Office Smash and the Codies/Zoe Mode developed You're in the Movies. "We're entering a new age in entertainment, and Xbox 360 is uniquely positioned to become the heart of the living room," said Don Mattrick, senior vice president for the Interactive Entertainment Business at Microsoft. "The new Xbox experience offers more content than you can find from any device that connects to the television. That convergence of entertainment and gaming will bring new people and more families to the category, driving a record year for the games industry." "This year more than any other, Xbox 360 has something for everyone — whether you love playing games with friends or are simply looking for the best in entertainment," Mattrick said. 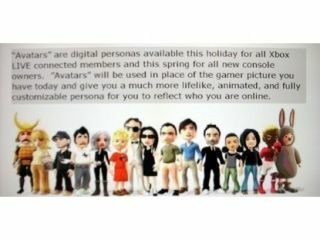 It's a strong showing from Microsoft, without doubt, with Xbox Live Party offering you new ways of sharing your favourite games, telly and movies with your mates (represented by those cutesy Rare-developed avatars) online. Sure, it's the 'trojan box' under the telly strategy, which we knew to be the long-term Xbox plan all along. Sure, they've 'copied' elements of Nintendo's strategy (Ninty fanboys internet-wide are already up in arms), but they've added the promise of better gaming experiences for more, which, should it work, can only be a good thing. No? Whatever your take on the conference today, one thing is clear. E3 2008 has officially started! Stay tuned for all the news from the show on TechRadar throughout the week.